After you and your date have gone out a few times together, the two of you may be ready for your first overnight getaway. Now you just need to decide where to go and what to do. 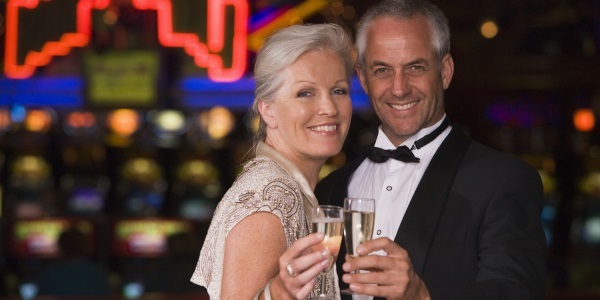 The following list should help you brainstorm romantic ideas of overnight dates for seniors that you will both enjoy. If the two of you are wine drinkers, what could be better than a romantic weekend of wine tasting and vineyard-hopping? Book a room at a quaint bed and breakfast and spend the day touring picturesque vineyards and drinking delicious wine. Take advantage of the beautiful setting and set out for a light picnic, breathing in the fresh countryside air and enjoying a pleasant buzz from the tasty wines. 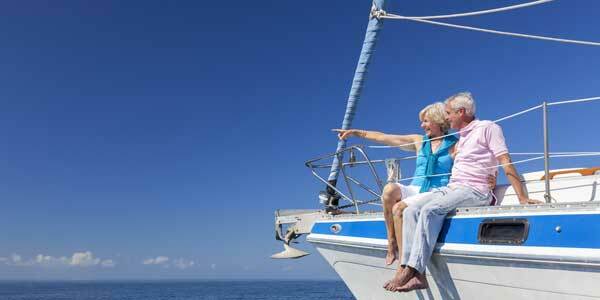 A cruise is one of the most romantic date ideas for senior citizens you will find. Imagine the two of you standing on your own private deck watching the sun go down across a Caribbean horizon. Almost every major cruise line offers affordable two, three or four night cruises that offer amazing amenities, fabulous cuisine and exotic ports. If you’re retired, you can likely find a great last-minute deal on a mid-week sailing, too. Keep in mind short cruises tend to become “party boats” for college students in the summer and during Spring Break. To avoid the chaos, sail when school is in session. How does a relaxing couples’ massage at a luxurious spa sound? Consider spending your first overnight together at a secluded spa retreat in the mountains or near the ocean, far away from cell phones and computers, completely disconnected from any distractions. It feels nice to be pampered, but it feels twice as nice when you can both be pampered together. Enjoying great amenities like hot tubs, steam rooms and massage therapy, a spa weekend is a perfect way to spend a couple days together in ultimate relaxation. If you and your date both enjoy the thrill of blackjack tables, roulette wheels and slot machines, why not spend a romantic and fun night at a casino hotel? You don’t need to live near Las Vegas or Atlantic City because there are casino hotels scattered all across the U.S. Many Native American gaming reservations around the country also have Keno and High Stakes Bingo games, if those are more up your alley. Who knows? You just might get lucky! You’re both retired, so why not hit the open road together and spend a night camping in an RV? 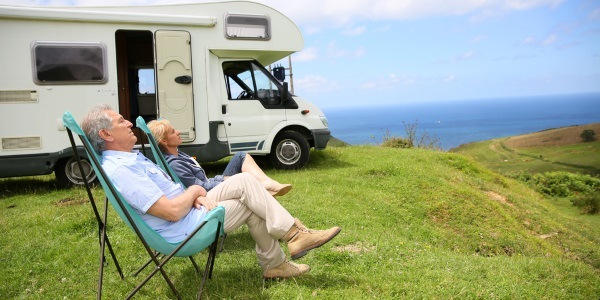 If you both enjoy meeting new people and being social, RV campgrounds are fantastic places to meet other retired couples and empty nesters. If there isn’t an RV park nearby, you don’t have to go far to find a place to park for the night so you can spend some valuable alone time together. Heck, you don’t even have to leave your driveway, if you don’t want to. The point is to disconnect a little from civilization and spend some time in nature, not rushing anywhere and simply enjoying the gifts nature has to offer. If the two of you really enjoy the outdoor life, skip the RV and just pitch a tent at an area campground where you can sit by a campfire, sharing stories and a bottle of wine together. If you’re on a fixed income, this idea is both inexpensive and romantic. Bus tours offer fun and memorable dates for seniors who prefer to leave the driving to someone else. You can find themed bus tours that go almost anywhere, from overnight casino trips to concerts to shopping excursions. A bus trip is a very laid back option which gives you plenty of time to relax and talk to each other, without the distractions of driving. If you don’t like to plan out your activities too much and are more into spontaneous interactions, a bus tour can be a great option for you two. you’ll meet plenty of other senior citizens who share common interests. There are endless ways to spend a romantic overnight date together. It really doesn’t matter where you go because the most important part of the date will be the time you spend with each other. Just make sure that the option you choose is suitable for the two of you, making your experience fun, romantic and intimate. If you are still looking for a special someone with whom you can take romantic trips, join a trustworthy online dating site for seniors and search for a love interest who shares common interests and values.